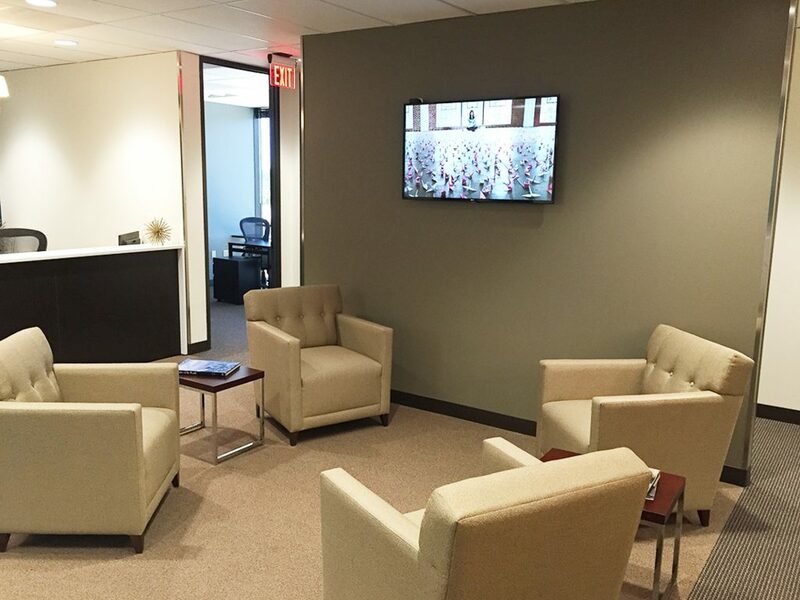 VERTEX was contracted to perform General Contracting services for an industry leading executive office client. 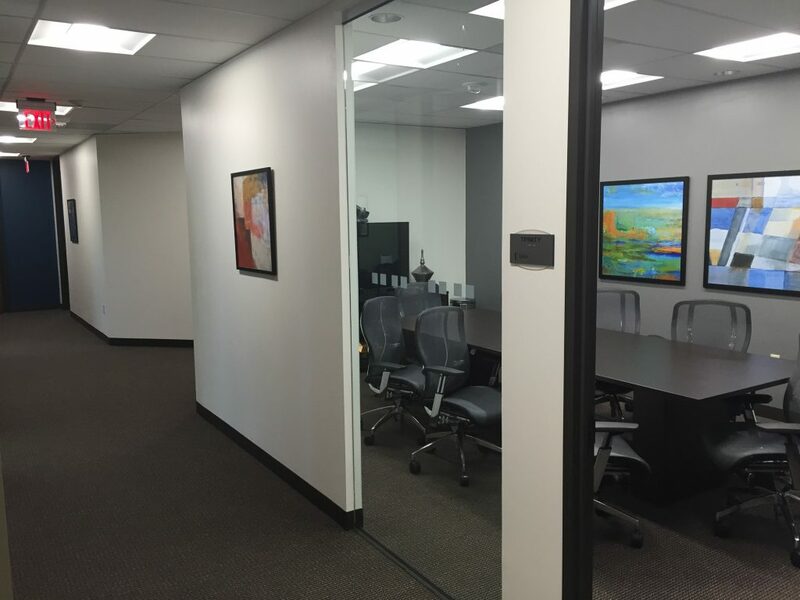 The interior remodel project consisted of VERTEX demolishing roughly 50% of the floor’s existing offices and restructuring the layout to accommodate our client’s needs; total project square footage was 11,219 SF. The floor plan included conference rooms, recharge bar, kitchens, reception/lobby, huddle rooms, communications center, and much more. 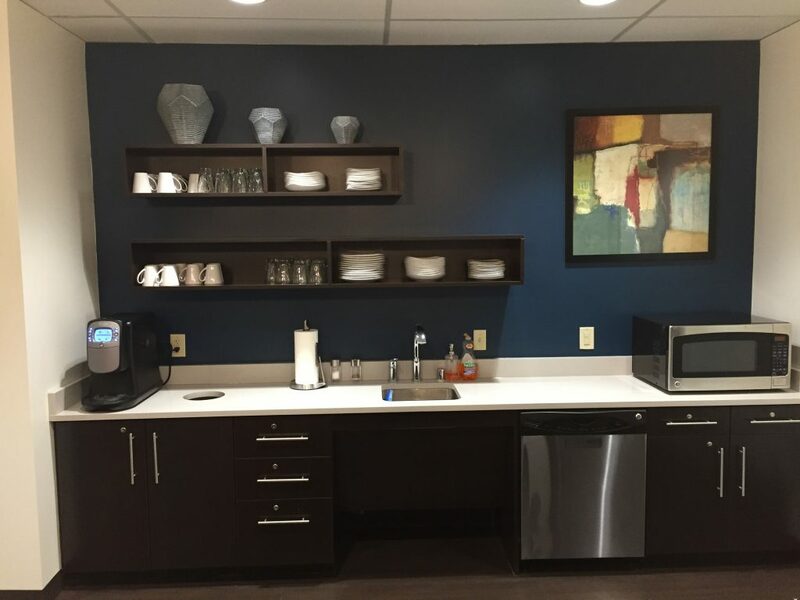 The final product was quite impressive with cutting-edge design features, while still serving as an efficient executive office suite for many tenants. With most of the design team out of state, VERTEX relied heavily on photographs and video communications to ensure adherence to the strict specifications. The project was finished on time and on budget.